In an effort to switch up my routine, I’ve been trying a lot of new mascaras in search for some new go-tos. 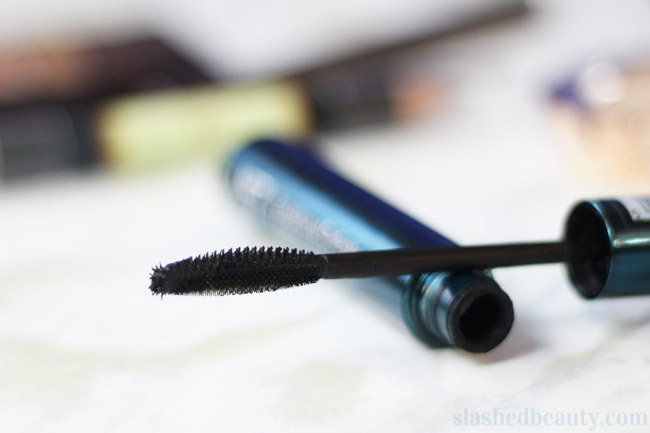 In the midst of them all, I found what might be my new favorite drugstore mascara. 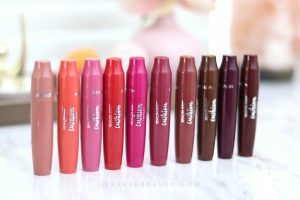 The No7 line from Boots Beauty has been expanding rapidly since they’ve landed in the US, and I haven’t found one dud in the bunch. 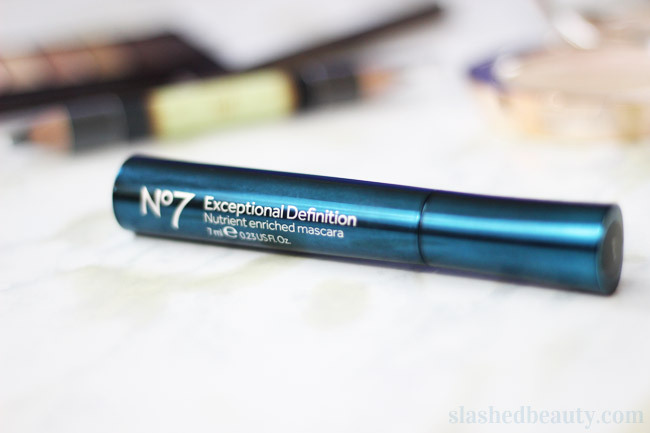 My latest obsession from the brand is their No7 Exceptional Definition Mascara. I don’t know if it was the teal tube that dragged me in, but I’m so glad this landed in my drawer because it’s been the only mascara I’ve been wearing in my every day routine lately. It’s pretty much everything I like in a mascara. Don’t be fooled by only the mention of definition in the name; I get defined, thickened, and lengthened lashes when I wear it. I’m talking a fanned out look that lasts all day without any flaking, smudging or drooping. Speaking of the brush, it’s curved to help lift lashes, and has two sizes of bristles: longer tines for your upper lashes, and short, finer tines for your bottom lashes. Both types are dense and strategically spaced so that you never end up with any clumps. At the tip, there’s a nub with splayed bristles for hard-to-reach lashes like in your corners. 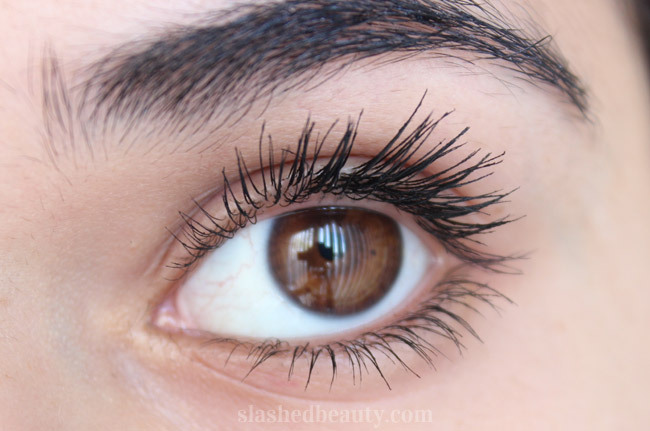 For this reason, my lashes never look like they’re coated in layers of mascara— they actually look naturally voluminous and long and glam! 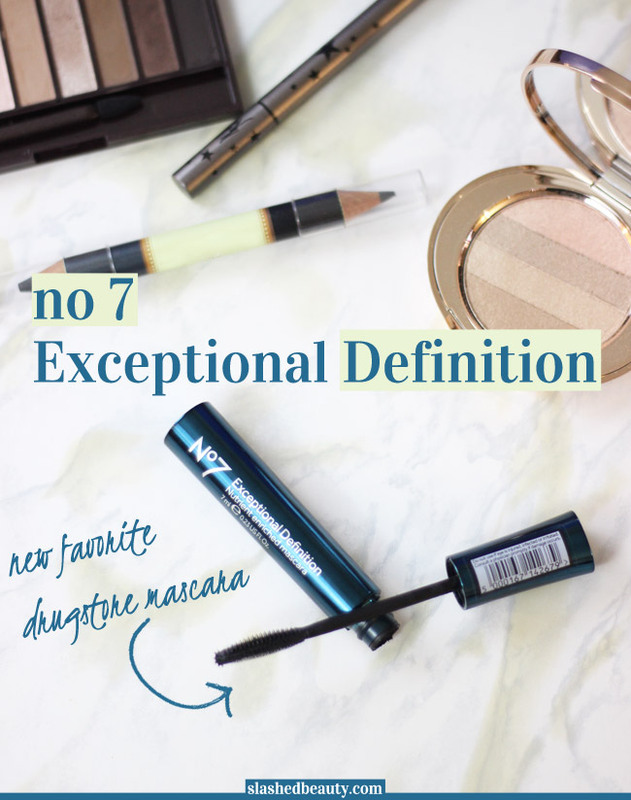 All in all, for only about $9 at Target, you’ve got not much to lose and a whole lotta lash to gain with the No7 Exceptional Definition Mascara. 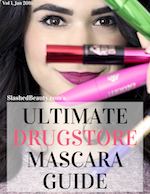 What has been your favorite drugstore find lately? I haven’t tried this brand yet. The mascara looks great. I need to try this! I love how it made your lashes look made them look stunning ! I definitely need to try this…your lashes look incredible!! Get it, seriously! My lashes are naturally so straight and stubby!